Courtesy of Insider YouTube Channel we have a very interesting video about How The Sounds In the Bumblebee Movie were made. A lot of surprises and reveals on this video. 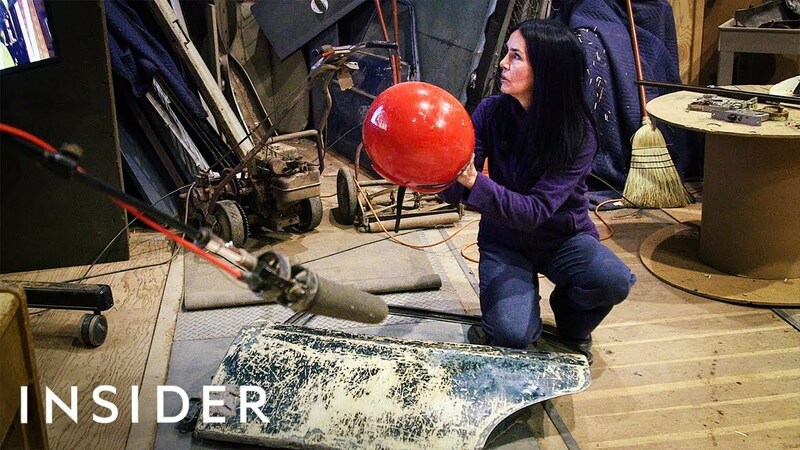 The video features an interview with the films’ Foley team (They create the performance oriented sound elements) Dawn Lunsford, Alicia Stevenson and David Jobe about their work on Bumblebee’s sound. They proved to be really creative with the mechanical sounds, using car parts, lawnmowers, old lamps, helmets and more than you can imagine. The original sounds are made “old-school-way” and then mixed and improved digitally for the final cut. Check the video below and have fun with the origin of the many sounds and effect in Bumblebee (including explosions), and then sound off on the 2005 Boards! This was a very interesting video. It really gives you insight to how movies really do sounds for big budget films. Watching this, the sound stuff was interesting. But I also noticed they blurred Charlie's shirt on the beach. And looking at some pics around the internet it looks like she was wearing a Rolling Stones shirt that might have been removed. Can anyone tell me if she's wearing the rolling stone shirt in the movie? I remember hearing multiple cues on the sound design from previous movies, IIRC I could've sworn hearing starscream's screeching from the warehouse scene, starscream's or Meg's transformation sound, and some barricade noises while Bee and dropick were fighting. Not so sure it's a homage as much as reuse. Still works I suppose. I don\'t think the narrator guy knows about the words Decepticons or Cybertronians since he, at least twice, refers to the fights as battles between Autobots. In bumblebee at least, it seems to use the same modified transformation sound from the movie, the difference is that the transformation sounds like a 7th chord arpeggiation without returning to the first note while bumblebee' s humming sound holds out one note with vibrato to sound more natural or expressive. That was amazing and me want to watch ROTF this afternoon! Aaah good old foley…a lot of the sounds were actually reused from previous movies like for instance when Bumblebee transforms or when Optimus steps or runs.